Car Stereo Radio Aux Auxiliary Adaptor bluetooth Cable For Ford Ba-Bf Falcon. For Ford Falcon (BF) 2005 to 2008. 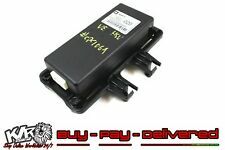 For Ford Falcon (BA) 2002 to 2005. Port on the CD changer port of the radio. 1x AUX Adaptor Harness. 50A Anderson® to 2 x 15A Cigarette Lighter Sockets. This handy unit adapts a high powered 50A Anderson® connector to provide two high current 15A cigarette lighter sockets. Perfect for powering portable fridges, cooking utilities, and more. Condition - Good. Cant find the part your after?. Why choose BTA Model for your car. 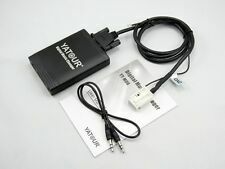 Yatour Bluetooth Adapter. factory car stereo system. And support Hands free phone call function. Wireless A2DP playback: easily streaming music of Bluetooth devices into factory car stereo system. 3.5mm Aux Cable;. The USB/AUX interface adapter is perfect for connecting USB Flash to your factory stereo system. designed for the professional look, no cigarette lighter adapter, all wires hidden. Wire Harness;. Pioneer AUX IN interfaceadapter ;. The Pioneer Radio must have PIONEER IP-BUS CD changer input. Easy to install(Free online tech support);. Build with Aluminium Body, designed for the professional look, no cigarette lighter adapter, all wires hidden. 3.5mm Aux Cable;. The USB/AUX interface adapter is perfect for connecting USB Flash to your factory stereo system without any loss of. Pioneer AUX IN interface adaptor;. The Pioneer Radio must have PIONEER IP-BUS CD changer input. Easy to install(Free online tech support);. Lined Reflector Board. Supports music playing from USB/Micro SD card. Bluetooth version: Action 4.2. Bluetooth Protocol:AVRCP,HFP,A2DP. USB/Micro SD card(Max capacity): 32GB. USB /Micro SD card: FAT32. 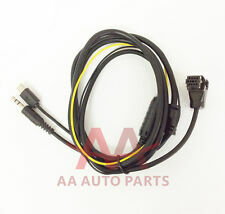 Suit For: Audi with AMI interface and VW with MDI interface. 1x AMI MDI MMI Adapter Charging Cable. VW Jetta Mk5. VW Golf Mk5. VW Passat (all models) 2009 onwards. VW Tiguan, Touareg and EOS. Audi A3, A4/S4, A5/S5, A6/S6 (2009 onwards). Lined Reflector Board. Support 3.5mm AUX audio input. Connect through the car CD player directly, non-destructive installation. Car Interior. Civic 2006-2010. With no signal interference, no need to install baterry. 3.5mm Aux Cable;. Build with Aluminium Body, designed for. The USB/AUX interface adapter is perfect for connecting USB Flash to your factory stereo system. without any loss of sound quality! the professional look, no cigarette lighter adapter, all wires hidden. Why choose BTA Model for your car. Wireless A2DP playback: easily streaming music of Bluetooth devices into factory car stereo system. 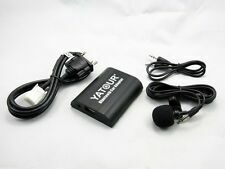 Yatour Bluetooth Adapter. factory car stereo system. And support Hands free phone call function. Digital compass, display accurate direction and angle. Digital compass, display accurate direction and angle. 1 x Car digital compass. 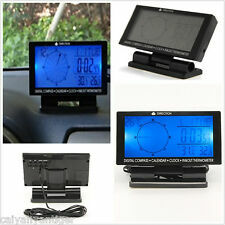 multi-functional car LCD digital display. Display: Digital display. 1 Hands-Free car kit. 1 3M sticker. 1 User manual. Digital compass, display accurate direction and angle. 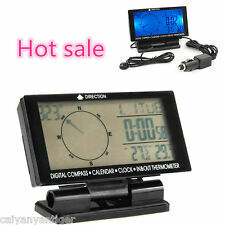 Digital compass, display accurate direction and angle. 1 x Car digital compass. 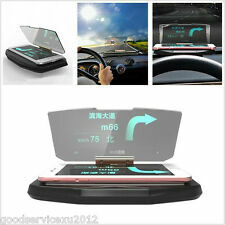 multi-functional car LCD digital display. Luxury Breathable Flax Beige 5-Seats Car Seat Cover Protector Cushion w/ Pillows. When placed on the center console, drivers don't need to bow to see because it will not block sight. Cleaning the surface on which is to be placed. Then waiting for surface dry. The Bluetooth 3.0 EDR Hands-Free Car Kit will automatically connect to the last connected phone and begin to work in sync when starting the car. -Bluetooth Version: V3.0. -Bluetooth Voice: With A2DP. Adapting professional-grade high-performance Bluetooth module ,built-in mp3/wma decoder chip make it capable of playing the music files in u disk,firing into the car stereo via wireless. Besides, during the Bluetooth connecting, play the phone's music and FM transmitter to Car Audio, perfect ,as the calls incoming automatically switches to the speaker state, call end then automatically back the music player. With 2 cigarette lighter sockets and 2 USB output, Max output power up tp 80W, Max output current up to 3.1A. 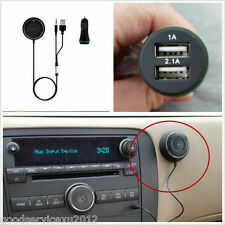 Type : USB Car Cigarette Lighter Socket. 1 Dual USB Cigarette Lighter Sockets. USB Indicator : Blue LED. Car External Microphone Mic is an optional external microphone for selecting Audio System in-dash headunit with built-in Bluetooth that feature a 3.5mm microphone input. The microphone can be used with external Bluetooth interface module. Convenient to use, small and compact, the wireless Bluetooth range is up to 40 feet. CR2016 battery is projected to last at least 1 year. Compatible with most of iOS devices supporting Bluetooth 3.0 and later (support iPhone 7 and iOS10), Android OS 4.0 or later. Support phone:Android. Noticed : Support Android phone has OTG and UVC function. 7.0MM Lens with6pcs adjustableLED lightswaterproof. 5M Long USB Cable. Waterproof level:IP67. 100pcs 3M Self-adhesive Wire Tie Cable Clamp Clip Holder. Adhesive back type, convenient and easy to use, save space. It can work well with the nylon cable tie used to secure the wire bundles. With the self-adhesive base design, this Wire Tie Base is very easy to fix on the smooth surface. 3.1A dual USB interface. 80W dual cigarette lighter power output. USB output Dual USB/2.1A 1A. Plug the USB into the car cigarette lighter. USB port output 5V 3.1A. car vacuum cleaner, car refrigerator and other automotive appliances. Wireless Bluetooth FM Transmitter Radio Adapter Receiver, CHGeek 3.4A. 1 Bluetooth FM Transmitter Car Kit. Bluetooth: Transmit music/phone call from your phone to car FM. Plug the FM transmitter kit into your vehicle’s cigarette. Bluetooth version: CSR4.0. -You can enjoy the music and answer the call in hand-free mode without refitting your car, which ensure the driving safety while enjoying music. -1 x Hands-Free car kit. -1x Magnet pieces. 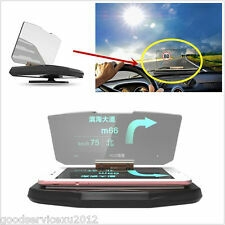 Car Stereo Bluetooth Handsfree MP3 Player FM Transmitters Receiver Magnetic Base. Bluetooth version: CSR4.0. -You can enjoy the music and answer the call in hand-free mode without refitting your car, which ensure the driving safety while enjoying music. High Quality Sound: No one can stand terrible sound, so we add this transmitter with 3.5mm aux output that you can connect it with your speaker or car stereo system for clearer and better sound experience. Universal DC12V/24V in-Car Coffee Maker Tea Water Milk Pot Vehicle Heating Warming Cup 280ml With Car Cigarette Lighter Socket Black. Capacity: 280ML. 1 280ml auto hot water cup. Applicable Scope: boil water, tea making, coffee making, milk making and so on. 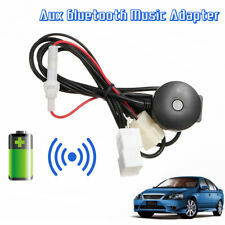 Car Aux Wireless Bluetooth MP3 Music Player Receiver 10m Phone Handsfree Adapter. -1x AUX Plug. Bluetooth version: CSR4.0. -You can enjoy the music and answer the call in hand-free mode without refitting your car, which ensure the driving safety while enjoying music. 12V 10 ft 3 Wires Cigarette/Cigar Lighter Socket Plug Connector & Extension Wire With On Off Toggle Switch & Changing Pattern Switch. 1 x 12V 10 ft High Quality 3 Wires Cigarette/Cigar Lighter Socket Plug Connector & Extension Wire With On Off Toggle Switch & Changing Pattern Switch. Universal DC12V/24V in-Car Coffee Maker Tea Water Milk Pot Vehicle Heating Warming Cup 280ml With Car Cigarette Lighter Socket Black. Applicable Scope: boil water, tea making, coffee making, milk making and so on. 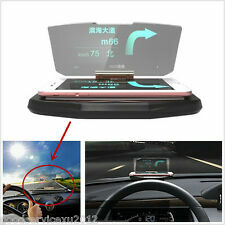 Car Stereo Bluetooth Handsfree MP3 Player FM Transmitters Receiver Magnetic Base. Bluetooth version: CSR4.0. -1 x Hands-Free car kit. -You can enjoy the music and answer the call in hand-free mode without refitting your car, which ensure the driving safety while enjoying music.